When it comes to sweet treats, the CLASSICS STILL REIGN SUPREME. Serve our Everyday Cookies and give your customers a taste they'll love at a price you'll love every day of the week! 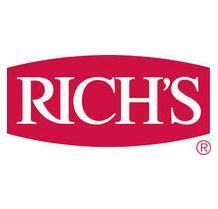 Note: Rich’s® Everyday Cookies replace Rich’s® Bronze and Silver cookie dough that was discontinued on June 30, 2016.